After being missing for about 3 weeks, Ben's body and car were discovered at the bottom of a 500 foot embankment off the Blue Ridge Parkway, Haywood Co., in North Carolina on December 19, 1997. Ben Johnston Trigg was born on 21 December 1975 at Galveston, Texas. He was the son of David Campbell Trigg and Ann Redmond Corey. Ben Johnston Trigg died on 19 December 1997 at Blue Ridge Parkway, NC, at age 21. John Bartholomew Ferchaud III was born on 14 June 1912 at New Orleans, Louisiana. He married Sarah Gertrude McCafferty Skinner, daughter of Joseph Edward Skinner and Margaret Rose McCafferty, on 8 November 1947 at St. Mary's Catholic Church, Mobile, Mobile Co., AL. John Bartholomew Ferchaud III died on 19 October 2002 at St. Louis, St. Louis Co., MO, at age 90. He was buried on 31 October 2002 at Catholic Cemetery, Mobile, Mobile Co., AL. Leola Marie Ferchaud was born on 19 March 1951 at Birmingham, AL. She was the daughter of John Bartholomew Ferchaud III and Sarah Gertrude McCafferty Skinner. Leola Marie Ferchaud also went by the name of Lee Ferchaud. She died on 10 June 2016 at Mercy Hospital, St. Louis, St. Louis Co., MO, at age 65. Leola M. "Lee" Ferchaud, 65, fortified with the sacraments of Holy Mother Church on Friday, June 10, 2016. Cherished daughter of the late John Bartholomew, Jr. and Sarah (nee Skinner) Ferchaud; loving sister of Sallye Rankinand the late John "Bart" Ferchaud III; dear aunt of Jesse Kyle Rankin and Jacky Lee Rankin; great aunt of Darlene Rankin, Tristan Rankin, and Rebekah Rankin; dear friend to many. Lee was a tireless giver. She spent many years with the St. Louis City Health Department as a restaurant inspector and worked in the STD clinic. She retired from the health department after serving in the tuberculosis clinic, where she visited children at home to ensure they were receiving their medication properly. She also taught Stress Management, volunteered with the Yorky Rescue and was a freelance writer with many contributions to the St. Louis Review. Her ashes were buried in the family plot in Mobile. John Bartholomew Ferchaud IV was buried at Catholic Cemetery, Mobile, Mobile Co., AL. He was born on 29 July 1954 at New Orleans, Louisiana. He died on 30 July 1954. He was the son of John Bartholomew Ferchaud III and Sarah Gertrude McCafferty Skinner. John Bartholomew Ferchaud V also went by the name of Bart. He was born on 25 February 1956 at El Dorado, AR. He was the son of John Bartholomew Ferchaud III and Sarah Gertrude McCafferty Skinner. John Bartholomew Ferchaud V died on 12 January 2009 at DesPeres Hospital, St. Louis, St. Louis Co., MO, at age 52 , and was buried on 15 January 2009 at Valhalla Cemetery, St. Louis, St. Louis Co., MO; following a funeral mass at St. Richard Catholic Church. As a young man Bart began bicycling for exercise and frequently rode 100-mile routes his whole adult life and and rode annually in the 100-mile marathon for MS in Columbia, MO. He was a Yondan (4th degree black belt) in Aikido, Chuden in Mind and Body Unification, and Assistant Ki Lecturer teaching certification from Ki Society international. Bart Sensei began training in April, 1989. He successfully tested for the the rank of Chuden in Shinshin Toitsu Do in June 2007 with Ki Society International President Shinichi Tohei Sensei. By recommendation of Midland Ki federation Chief Instructor Koichi Kashiwaya, he was awarded Yondan (4th degree black belt) from Ki Society International. Bart has been an engaged and engaging member of Saint Louis Ki Society since the beginning of his training. He served as a teaching assistant and regular teacher. Bart served for a time on the Saint Louis Ki Society Board of Directors. He also helped the organization with his computer graphic skills. Early in his training, Bart was an assistant to Kate Theis when she taught children's classes. He was an athletic uke and could put on a flashy and engaging show of attacking and falling for the kids, who knew him affectionately as "Bad Bart". This title was especially funny because no one could ever think of Bart as bad in any way. Bart went on to be an assistant to other instructors, including Hemi Mistry and Sue Shepard. He became the regular Sunday morning teacher about four years ago. Bart was also a regular teacher at Meramec Valley Ki Society in Fenton, Missouri. Bart was a graphic designer with extensive experience in both print and interactive media. He worked with clients like Hewlett-Packard, Ford, GM, Lucent and Avaya to produce websites, mass e-mails, and tradeshow booths. Mary Katherine Kessler was born on 26 March 1924 at Detroit, MI. She married Donald Joseph Skinner, son of Joseph Edward Skinner and Margaret Rose McCafferty, on 21 May 1946 at Jacksonville, FL. Mary Katherine Kessler died on 8 October 2015 at Independent Living Village, Plymouth, Wayne Co., MI, at age 91. Mary was the first child of Pearl Patricia and Ertman William Kessler: her siblings are, Patricia Ann, William Ertman, Fredrick Augustus, Ertman Leonard and Claudia Jean. She married Donald Joseph Skinner in Jacksonville Florida on May 21, 1946. She is survived by: John William, Kathleen Ann, Capt. Joseph Edward USN ret., Dr. Michael Patrick, Cynthia Louise and Capt. William Thomas USN; 21 grandchildren and 17 great grandchildren all of whom she cherished. She was predeceased by her husband Donald Joseph, her sister Patricia Ann and two of her children Patricia Jean and Donald Fredrick. Family was important to Mary. She and Donald worked together to support their young family when money was tight. Building their first house together and in spite of her refrigerator falling through the floor, Mary always had a positive determination. Her children's scars bear witness to all of the trips to the ER (where each of her children were known by name) where she wore her calm demeanor proudly. Mary was a veteran, she proudly served her country during the Second World War in the Naval WAVES. 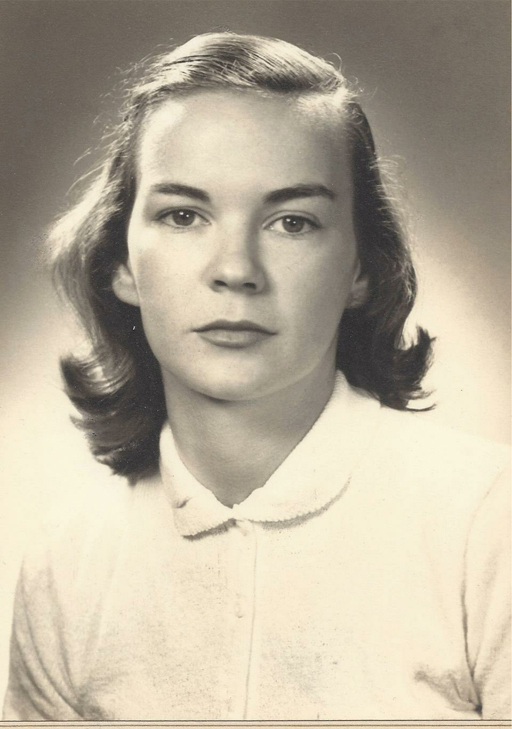 She joined the Navy as a way to assert her independence from a strict family life where she had to be home by 9 pm while commuting from Cherry Hill to Ann Arbor while attending the University of Michigan. She relished those occasions where she could burst into "Anchors Away" and took special pride in her two sons who graduated from the Naval Academy. When Mary's parents moved from Detroit to Cherry Hill, she attended a one room school house for 2 years and then high school in Ypsilanti. After the War she returned to attend college at Eastern Michigan University part time, putting her bachelor's degree on hold when the twins arrived. When the children were old enough she went back to school at School Craft Community College stopping only when found a sales job at Hudsons, where she excelled because of her personality and hard work. Mary was never one to just participate, she took on responsibility. She taught Sunday school at OLGC, produced the Punch and Judy shows making the stage, costumes and recruiting others to help put on shows. Mary was on the Plymouth Chamber of Commerce, the board of residents at Walton Wood Independent Living Village and ran the bingo program there as well. Mary was always looking for outlets for her creative side: making wedding dresses, bridesmaid dresses, prom dresses and countless Halloween costumes. In her later years she was able to express her artistic ability through her paintings and jewelry. She loved music, her favorite group was the Lennon Sisters and her favorite recordings were "Student Prince" and "Madam Butterfly". Mary's husband Donald frequently spoke of the beautiful red head he fell head over heels for and she always took pride in her appearance and while at Walton Woods looked forward to her weekly visits to have her hair and nails done. We are all grateful to daughters Cindy and Kathy, and other family members who lovingly supported Mary Catherine in her final months generously giving countless hours to be with her. A special thank you to Debbie from the VA.
Mary you will be missed for your sense of humor, your hugs and most of all for the Love that you showered on us all. [S182] Social Security Death Index (on-line), Ancestry.com, SSDI, Ancestry.com, SSAN 372-48-4185. Donald Frederick Skinner was born on 23 December 1953 at Ypsilanti, Washtenaw Co., MI. He was the son of Donald Joseph Skinner and Mary Katherine Kessler. Donald Frederick Skinner died on 23 August 2014 at age 60. 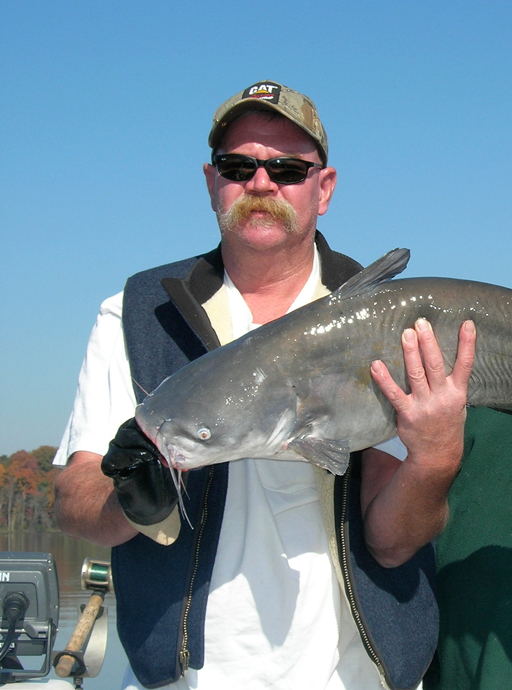 Don Skinner, age 60 of Canton, passed away on August 23, 2014. Loving husband of 14 years to Joann. Beloved father of Nicole (Joshua) Grave, Benjamin (Danielle) Skinner and step father of Steven Waitulionis. Proud grandfather of Jacob Grave and Lily Skinner. Cherished son of Mary Kathryn Skinner. Dear brother of Kathryn Levi, Capt. Joseph (Elizabeth) Skinner, USN Retired, Michael P. (Patricia) Skinner, PHD Senior Patent Analysts at Intel, Cynthia (Matthew) Wilkin, Capt. 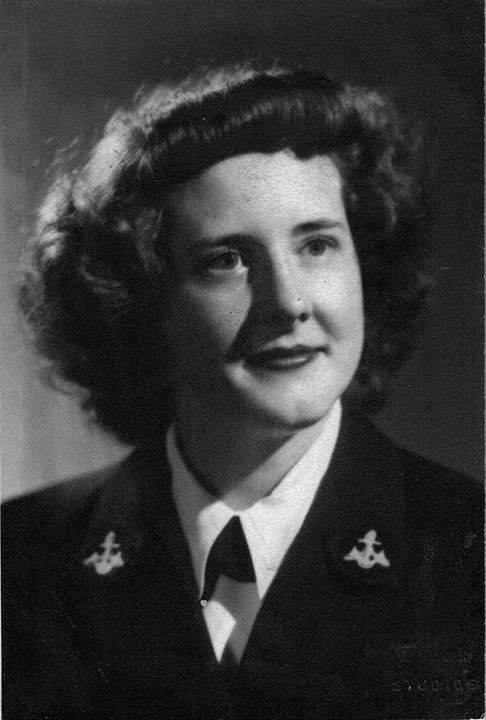 William (Alise) Skinner, USN Retired. Preceded in death by sister Patricia Barry. Don loved the outdoors especially hunting and fishing. A memorial mass will be held on Saturday, September 6, 2014 at 10:30am with family receiving friends beginning at 10:00am at Our Lady of Good Counsel Catholic Church 47650 North Territorial Rd, Plymouth. A memorial gathering will be held on Friday, September 5, 2014 from 6:00pm-9:00pm with a Scripture service at 7:00pm at the Schrader-Howell Funeral Home 280 South Main St, Plymouth. Alice VanBrunt was born on 21 June 1928 at Flushing, NY. She was the daughter of Ralph VanBrunt and Theresa Boyle. Alice VanBrunt married Maj. John Thomas McCafferty Skinner, son of Joseph Edward Skinner and Margaret Rose McCafferty, on 20 February 1953. Alice VanBrunt lived in 1990 at 3204 Floyd St., Richmond, VA. She lived in 2000 at 3204 Floyd St., Richmond, VA. She died on 20 December 2012 at Sunrise Senior Living, Lynnfield, MA, at age 84. She was buried on 27 December 2012 at Kensico Cemetery, Mount Pleasant, NY. John Skinner married Alice Van Brunt on February 21, 1953 at Fort Totten, New York. Alice was born on June 21, 1928, in Flushing, New York. Her father was Ralph Van Brunt. Her mother was Theresa Boyle Van Brunt. Alice and John met through their sisters, Billie Skinner Corey, and Jane Van Brunt Fitchett. When they met, John was attending a Petroleum class at Ft. Hamilton, N.Y., and often stayed with Billie in flushing. Alice was living with her sister, Jan. Alice grew up in Flushing, and came from a family of four girls. Her parents were born in New York, as were her grandparents. Her great grandparents were from Ireland on both her mother's and father's side of the family. Alice graduated from Queens College, The City University of New York, and worked as a Home Economist in New York. Alice V. Skinner, a resident of Melrose for the past twelve years, died peacefully on December 20, 2012 at Sunrise Senior Living, Lynnfield, Mass., after a long illness. She was 84 years old. Born Alice Ann Van Brunt on June 21, 1928, she was raised in Flushing, N.Y., and earned a bachelor's degree in home economics from Queens College in 1950. In February 1953 she married John Thomas Skinner, a major in the U.S. Army, at Fort Totten, N.Y. After Major Skinner completed his service in Korea, he and Mrs. Skinner lived at army bases in Japan and Germany before settling near Fort Lee, in Petersburg, Va., where they raised their family. Major Skinner died in June 1968. After earning a master's degree in nutrition from Virginia State University, Mrs. Skinner enjoyed a long career with the Department of Defense, where she worked as chief dietician for the Troop Support Division of the Richmond-based Defense Logistics Agency. Mrs. Skinner moved to Richmond from Petersburg in April 1987. After retiring from the DLA in 1991, she started her own personal-nutrition consulting business and taught cooking classes in her home. She was also a docent at Sherwood Forest Plantation, the home of U.S. President John Tyler, in Charles City, Va.
Mrs. Skinner moved to Massachusetts in 2001 to be nearer to her daughters, Elizabeth Skinner Carduff, of Melrose, and Mary Carol Skinner, of Florence. Both daughters survive her, as do a son, John T. Skinner Jr., of DeWitt, Va., and three grandchildren, John T. Skinner III, of Morehead City, N.C., Emily Van Brunt Carduff, of South Hadley, Mass., and Eliot Skinner Carduff, of Durham, N.H. She was a faithful parishioner at St. Mary of the Annunciation Church, Melrose. She loved cooking, gardening, her beautiful home, her many dogs and cats, and trips to Maine and the beaches of Boston's north shore. A funeral Mass will be held on December 27th at10AM in the Holy Name of Jesus Church, Two Broadway, Valhalla, N.Y., with interment at Kensico Cemetery, Mount Pleasant, N.Y. In lieu of flowers, donations can be made in her name to St. Anthony's Shrine, 100 Arch Street, Boston, MA 02110, or to the ASPCA, P.O. Box 96929, Washington, DC 20090-6929. John Thomas McCafferty Skinner Jr.
John Thomas McCafferty Skinner Jr. was born on 5 December 1958 at Petersburg, VA. He was the son of Maj. John Thomas McCafferty Skinner and Alice VanBrunt. 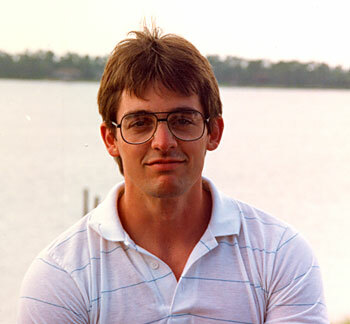 John Thomas McCafferty Skinner Jr. died on 16 January 2014 at DeWitt, Dinwiddie Co., VA, at age 55. He was buried on 21 January 2014. John Thomas “Tommy” Skinner Jr., a resident of DeWitt, Virginia, died at home on January 16, 2014. He was 55 years old. Born on December 5, 1958, he was raised in Petersburg, Virginia, and attended Petersburg High School. He enjoyed a thirty-year career assembling products for The HON Company, a manufacturer of office furniture, in Chester, Va., followed by a short stint spinning metal fibers at DuPont’s Spruance Plant, near Richmond. Tommy valued family above all else, had a talent for gardening & grilling, loved fishing, guns, and the out-of-doors, and cherished his many dogs. He is survived by his son, John T. Skinner III, of Morehead City, North Carolina; his longtime and devoted companion Brenda Carpenter; his former wife, Karen Skinner, of Richmond; two sisters, Elizabeth Skinner Carduff, of Melrose, Massachusetts, and Mary Carol Skinner, of Florence, Massachusetts; and his niece Emily V. Carduff and nephew Eliot Skinner Carduff, both of Melrose, Mass. He was the son of the late John T. and Alice V. Skinner. Francis Janet Hill was born circa 1839 at AL.1 She was the daughter of John William Henry Hill and Mary Bates. Francis Janet Hill married Judge George Gaines Skinner, son of Henry Augustus Skinner and Mary Creecy. John W. and Mary were enumerated in the 1860 Washington Co., AL, federal census. He was a farmer, age 46, she was 35. Children in the household were Frances J. 21, Thomas J., 20, Mary E. 18, Laura A. 16, Margaret B. 14, Eliza F. 12, and John E. 1. [S807] Find A Grave, online http://www.findagrave.com, Find A Grave, database and images (https://www.findagrave.com : accessed 27 March 2018), memorial page for John William Henry “W. H.” Hill (25 Apr 1814–13 Sep 1867), Find A Grave Memorial no. 12119482, citing Lafayette Cemetery Number 1, New Orleans, Orleans Parish, Louisiana, USA ; Maintained by Chuck (contributor 48701180) .